You can also explore more as part of your degree with discovery modules which can be chosen from across the university — see studying with us for more information. Leeds University Union (LUU) clubs and societies provide an opportunity to meet new people and discover something new or continue an interest. With over 300 groups to choose from, you’re sure to find something at which excites you; from journalism to skydiving; rock gospel choir to film; student radio to conservation; books to real ale; and campaigning groups to sign language. There is also a dedicated Law Society (LawSoc) and Criminal Justice Society (CrimSoc) which work closely with the School to help you get the most out of your time with us. CrimSoc host socials, prison visits and have their own sports teams. They also run the Restorative Conference which invites speakers including MPs, ex-offenders and victim support officers. LawSoc will give you the opportunity to get involved with mooting in the School's Moot Court Room, debating and networking. It also has its own sports team and organises trips and socials such as quiz nights or even trips to European cities like Budapest. The School of Law offers a number of community engagement opportunities, open to all, which allow you to work pro-bono and put your legal and criminal justice knowledge into practice. Both LUU and Leeds for Life also offer a range of volunteering opportunities — from helping the homeless and undertaking projects abroad — which can boost your CV and take you to new places. Leeds for Life can also help if you want to set up your own voluntary project. Whether through a year in industry or a shorter-term internship, work experience will help you stand out to future employers. It's an opportunity to prepare you for the world of work and help you decide what kind of career you might like when you graduate. Find out about all the work experience opportunities available. Studying abroad is a brilliant way to broaden your horizons and change your perspective personally and academically. It can also help you stand out to employers and potentially prepare you for an international career. At Leeds you'll be part of a vibrant international community of staff and students, which brings many personal, academic and future professional benefits to all of us. 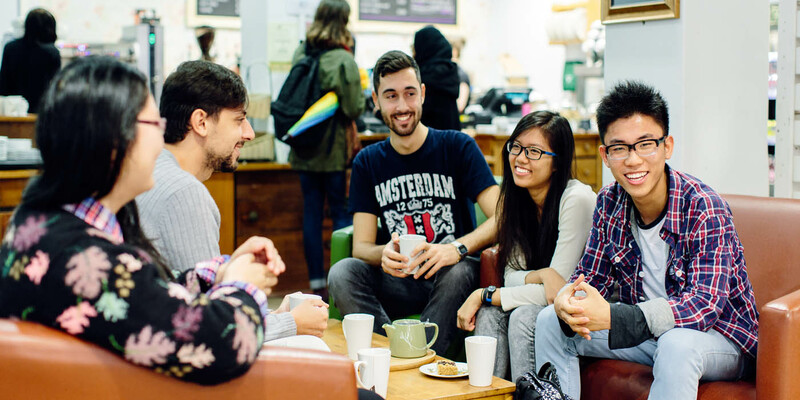 Whether you are a UK, EU or international student you can develop language skills, take part in international groups, undertake intercultural work and volunteering or just enjoy some of the fantastic events throughout the year. Find out more about the opportunities available to you as part of our global community. You can get involved with your School community by becoming an ambassador and mentoring a fellow student or representing your peers. You can become an ambassador to promote student engagement, mentor your peers and represent your coursemates as a student course representative.